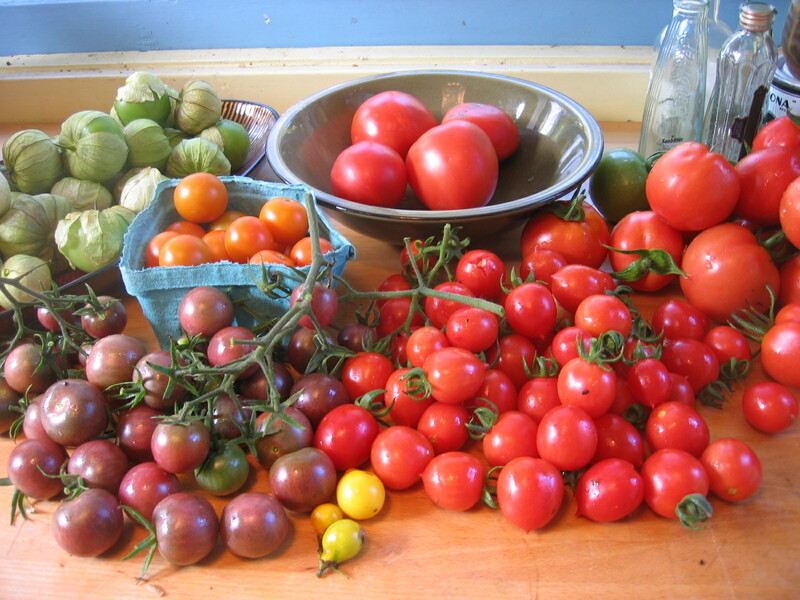 Harvested about six pounds of tomatoes from the garden, plus a few from the CSA which meant a lot of tomato processing this week. Homemade fettucini with homemade tomato sauce and sardines … the dismal, wet summer produce rather mealy tomatoes, but after a good stewing with carrots, celery, oregano, and garlic the sauce was perfect. Dill pickle chips … Dylan’s first pickle-making adventure was a success! Buckwheat pancakes … the batter reminds me of a dark chocolate milkshake with a healthy dose of coffee grounds, but tastes like nothing of the sort. These are definitely a household favorite. Savory biscotti … there will undoubtedly be more to say about these crunchy bits of wonderful. Broccoli melt + beet salad + chips at Homegrown … broccoli on a sandwich is a no brainer for me.